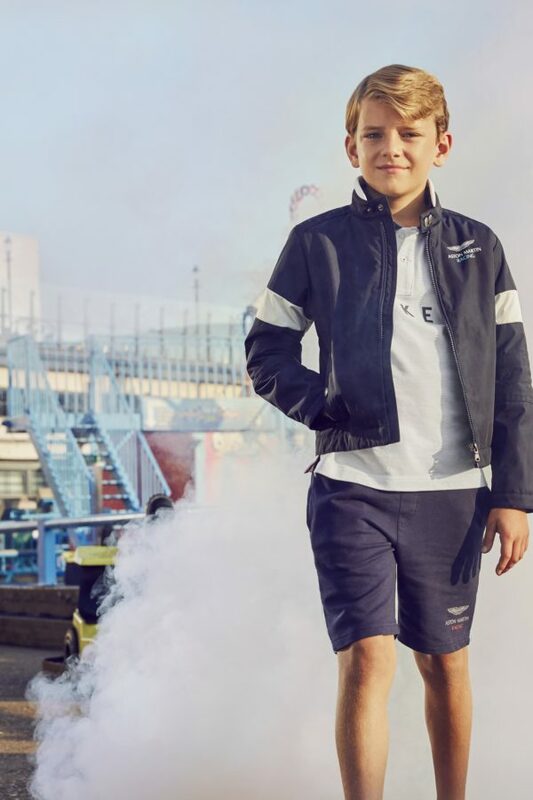 Loved for its British heritage, Hackett launched their first childrenswear line with a focus on classic and preppy styles. Like no other fashion brand embodies the noble brand HACKETT LONDON the contemporary look of an English gentleman. Influenced by the country life of the nobility and the sports Polo and Rugby, the collections of the designer brand represent a clever mix of sporty and classic fashion for men and kids. The children's collection of the brand acts as a fresh reinterpretation of the men's collection. Whether cute stripe bodysuits for babies or classic polos and cool Jackets for boys, children's fashion places high demands on design and processing. Cheerful colors and details such as logo patches create a trendy look. Skin-friendly materials and hip sections ensure excellent comfort. So the little ones are well looked even fashionable for HACKETT LONDON.